The Yamaha RX-A780 delivers thrilling home theater sound with tons of music choices. The Yamaha RX-A780 delivers thrilling home theater sound with tons of music choices. This 4K-compatible receiver has decoding for Dolby Atmos® and DTS:X™ for 360-degree surround sound with overhead effects. Upscaling for HDMI sources lets you enjoy more of your video content in stunning Ultra High Definition. You can expand your system with two HDMI outputs for watching the same video source on two different screens, plus wired and wireless options for playing music in different rooms. The RX-A780's meticulous construction, symmetrical amplifier layout, and low-jitter digital circuitry all work together to give you accurate sound with precise stereo imaging and a wide, natural soundstage. The RX-A780 has connections for nine speakers, and it can power up to seven speakers at a time. You can set up a standard 7.2-channel surround sound system, or you can go with 5.2-channel surround sound and use the rear surround channels as height channels in a 5.1.2 Atmos system. I have a Yamaha receiver but it's old and outdated so I bought a new one and stayed with Yamaha because I'm very happy with their product. Thank you Crutchfield for helping me with all my audio purchases . ?? High Drive Amp Technology: A fully discrete power amplifier helps maximize sound and minimize distortion of the receiver. 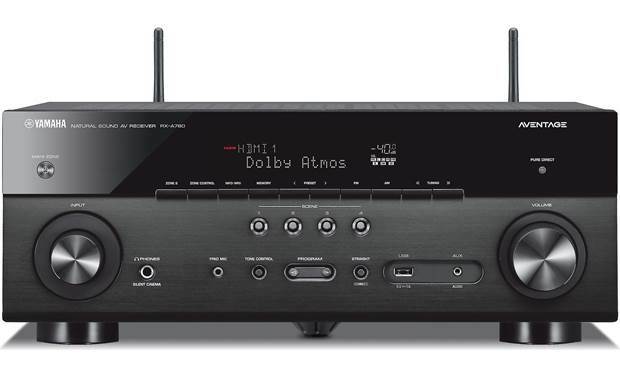 The Yamaha RX-A780 AV Receiver is equipped with a 7-channel amplifier rated at 95 watts (into 8-ohms, at 20-20kHz, with 0.06% THD, driving 2 channels) which provides high dynamic power with low-impedance drive capability. R.S.C. (Reflected Sound Control) Multipoint: The receiver employs R.S.C. (Reflected Sound Control) to correct early reflections for studio-quality surround sound. Immersive Surround Sound: The Yamaha RX-A780 AV receiver goes beyond regular surround with the latest immersive surround sound formats, including Dolby Atmos & DTS:X.
Dolby Atmos: The Yamaha AV receiver will enhance properly designed systems with Dolby Atmos where sound comes alive from all directions, including overhead, to fill the home theater with astonishing clarity, power, detail and depth. The RX-A780 has the processing power to run a more enveloping 5.1.2ch Dolby Atmos layout utilizing front-height, ceiling mounted, or Dolby Atmos-enabled speakers (sold separately). A 5.1.2 speaker configuration is based upon a traditional 5.1 speaker layout complemented by two Front Height, Overhead, or Dolby Atmos-enabled speakers. 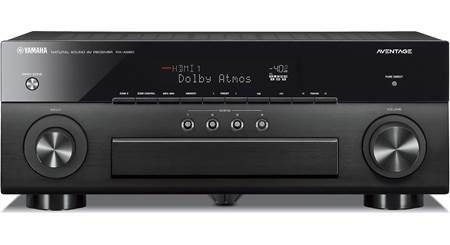 HiFi Sound Modes: The Yamaha RX-A780 offers two HiFi audio modes which bypass the receiver's tone & DSP processing for higher sound quality performance. These HiFi sound modes let you play back input sources without any soundfield effect processing. When either of these modes are enabled, each speaker produces its own channel audio signal (without soundfield processing). When playing back 2-channel sources, such as a CD player, stereo sound is heard from the front speakers. When playing back multichannel sources, the receiver produces unprocessed multichannel surround sound. Dynamic Range Control: The Yamaha RX-A780 employs two Dynamic Range Control functions. 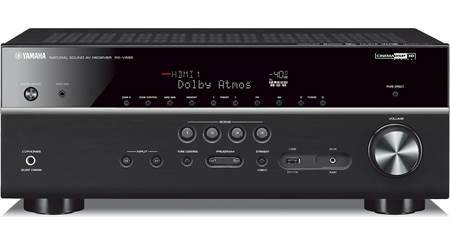 Bass Management: The Yamaha RX-A780 AV receiver provides the following Bass Management settings. Volume Setup: The Yamaha RX-A780 allows you to customize the receiver's volume levels. Audio Outputs: The Yamaha AV receiver is fitted with binding-post speaker terminals, dual mono-sub/LFE outputs, a set of front pre-outs, and a front-panel headphone jack. Front Pre-Outs: The set of stereo Front Pre-Outs let you connect an external power amplifier to power your front speakers. Headphone Jack: The Yamaha RX-A780 is equipped with a front-panel 1/4" headphone jack for connecting a set of headphones, so you can listen to your music privately. Connecting a set of headphones automatically mutes the receiver's speaker outputs. Sound effects applied during playback can also be heard through the headphones. 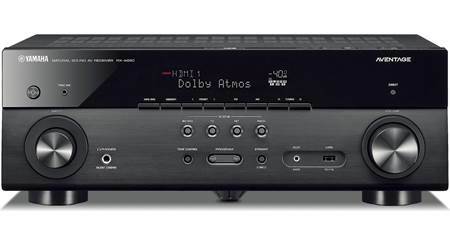 Phono Input: The Yamaha RX-A780 AV receiver features a dedicated Phono (MM) input for connecting your turntable and listening to your vinyl records. Front-Panel Aux Input: The RX-A780 features a front-panel Aux input (3.5mm) for connecting your portable audio player with a headphone output. HDMI 2.0b: The Yamaha RX-A780 AV receiver is fitted with five HDMI 2.0b inputs and two HDMI 2.0b outputs that support the latest HDMI standards; such as 4K/60Hz, HDCP 2.2, 4:4:4 color subsampling, HDR (High Dynamic Range), and Wide Color Gamut (BT.2020) for full support of today's 4K content from Ultra HD Blu-ray, online video services (like Amazon & Netflix), and future TV broadcast services. 4K/60Hz: The RX-A780 supports up to 4K (3840x2160 pixels) video @ 60 frames per second on all of its HDMI inputs and output. It also supports a 480i, 480p, 720p, 1080i, or 1080p video signal. HDR (High Dynamic Range): The Yamaha RX-A780 supports HDR (high dynamic range) Video - including HDR 10, Dolby Vision, and Hybrid Log-Gamma. HDR (High Dynamic Range Video) provides enhanced picture quality by simultaneously enabling greater detail for both the dark and bright parts of an image. HDR reproduces a greater dynamic range of luminosity or brightness levels, creating greater contrast. This increased contrast reveals the subtle nuances of the image, from detailed blacks and shadows to the brightest whites and colors, plus greater depth. 4K Video Upconversion & Upscaling: The Yamaha RX-A780 is capable of outstanding video upconversion and upscaling. This AV Receiver will upscale video signals from analog (480i only)-to-HDMI and HDMI-to-HDMI, up to 4K. This means a much better picture with HDTVs capable of 720p, 1080i, 1080p, or 4K resolution. Only the receiver's main HDMI output is capable of video upconversion & upscaling; the sub HDMI output does not support video upconversion or upscaling. 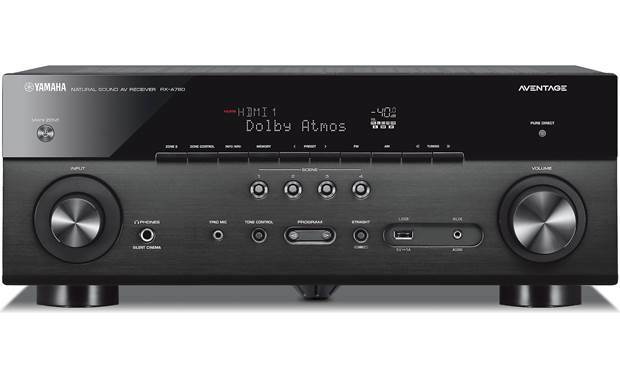 Other HDMI Features: The Yamaha RX-A780 AV receiver's HDMI connectivity also offers 3D video pass-through, ARC (Audio Return Channel), Deep Color & x.v.Color support, as well as an auto LipSync function. 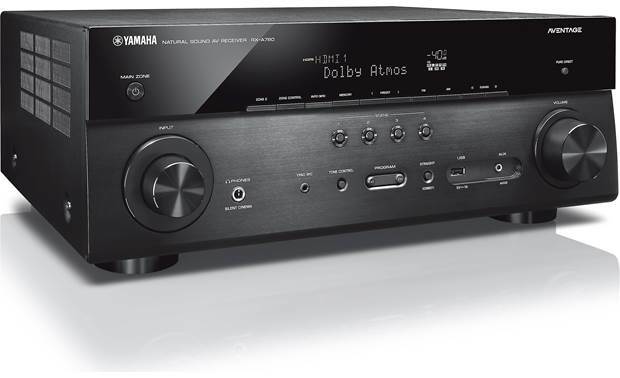 3D Ready: The Yamaha RX-A780 AV receiver supports 3D video pass-through (720p/1080p only) from connected 3D-compatible Blu-ray, games and broadcast devices to 3D-compatible HDTVs (all 3D components must be connected via HDMI). Special eyewear will be required for viewing 3D content. ARC: The ARC feature of the RX-A780's main HDMI monitor output allows audio to be sent from your compatible HDTV to the receiver through the same HDMI cable already being used to send audio and video to your HDTV. This eliminates the need for extra cables connected to your television. Standby Through Mode: When the RX-A780 is in standby mode (power off), the Standby Through feature allows HDMI source signals to pass through the receiver to the TV. The HDMI input can be changed using the remote control. So, there's no need to turn on the AV receiver in order to switch HDMI sources. Analog Video Inputs: The RX-A780 AV receiver is outfitted with one composite video and one component video input. Both the composite and component video inputs only support 480i. These analog video inputs are upscaled (up to 4k) and upconverted to HDMI out to your TV (the receiver has no analog video outputs). Background Audio/Video: The Background Video feature allows you to watch a video source while listening to a different audio source. With the RX-A780, you can select any video input (HDMI or analog) and listen to audio from any of the receiver's audio sources (including AM/FM tuner, Aux, Phono, USB, Network, or Bluetooth). Wired or Wireless Network Connection: The Yamaha RX-A780 offers a wired (Ethernet) or wireless (WiFi) network connection to your home's network router. 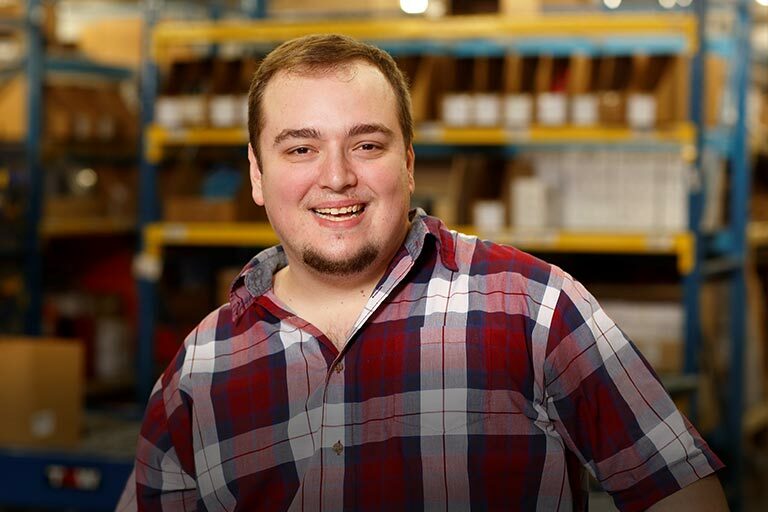 Either network connection gives the receiver access to DLNA music servers, AirPlay, MusicCast, and various online music services. The receiver also supports WiFi Direct for wireless connectivity between WiFi enabled devices without a router. Online Music Services: The Yamaha RX-A780 offers access to Internet Radio through built-in Airable by TuneIn; your Spotify Premium account through Spotify Connect on your Apple iOS or Android device; and your Pandora, TIDAL, or Deezer music account through Yamaha's MusicCast Controller app. DLNA Certified: The RX-A780 is DLNA (Digital Living Network Alliance) 1.5 and Windows 7/8/10 compliant for audio networking. This means it's easier for you to access and enjoy digital music stored on your PC over your home network. You can use your PC to play high-bit rate music content through your audio system, or use the RX-A780 to browse and play music files on your hard drive. You can control playback of your streamed audio files from the AV receiver's remote control. The receiver also supports ID3-Tag and META tag information so song title, artist name, and album name can be displayed from the unit's on-screen menu (via HDMI). 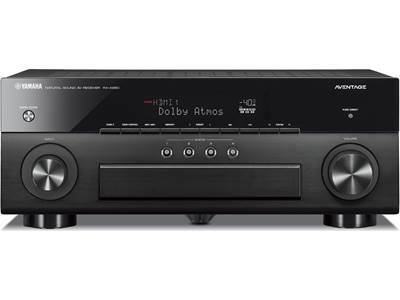 AM/FM Tuner: The Yamaha RX-A780 AV receiver features a built-in AM/FM tuner with manual, seek, and preset tuning. The RX-A780 lets you store up to 40 AM/FM station presets. This can be done manually or automatically (auto-preset tuning). You can set this receiver to automatically match FM broadcast frequencies in stereo, or convert the frequency to monaural for weaker stations. An indoor FM wire antenna and AM loop antenna are included with the receiver. 12V Trigger Output: The RX-A780 has a programmable minijack output to send a 12-Volt DC turn-on signal to another component that accepts a 12V trigger, such as a power amplifier or motorized projection screen. The trigger is programmed either to work with a specific zone (main room or Zone2) or a specific source. Advanced On-Screen Menu: The RX-A780 offers an on-screen (GUI) menu system through its HDMI output. The simple on-screen display combines text and graphics that make setup and other operations extremely easy. 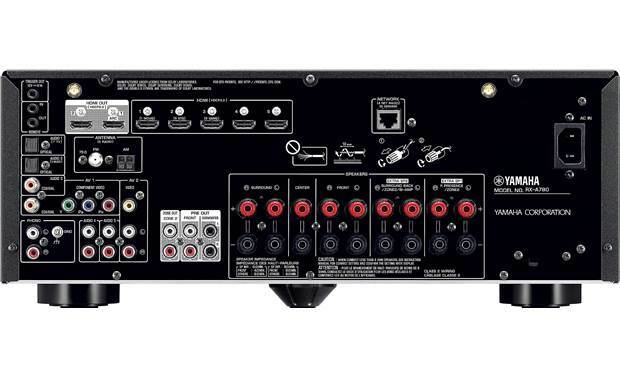 If your TV is connected to the composite video or component video monitor output, you will need to use the AV receiver's front-panel display when changing settings. You can set the receiver's on-screen menu language to English, French, Spanish, German, Russian, or Chinese. The front-panel display only offers English. Scene (for One-Touch Start): The RX-A780 features four Scene buttons on the front-panel and and eight Scene buttons on the remote to make operating the receiver easier. Pressing a Scene button will automatically launch a number of operations that initiate play of the source controlled by that button; such as powering on the receiver, switching to the appropriate source input, and recalling the selected DSP surround mode. I don't see a specific HDMI port for audio input from another device. My LG UBK-90 Blu-ray player has 2 HDMI outs (for separate video and audio output.) In order to have Dolby Atmos decoded, would I need to use the optical audio out on the player to the receiver? Thanks for any help! Rick, I believe that your blue ray player has dual outputs but both have audio and video transfer. I think the reason is if you have, let's say a flat screen for regular tv viewing and a projector for watching movies. I think the same HDMI cable uses for Audio and Video and Dolby Atmos can be decoded through the same cable. What Dolby Atmos feed are you trying to watch? Are you sure it is Dolby Atmos? Not really sure I just have it hooked up 7.1 and I love it. Sorry Guys, I can't help you with this, I have NO idea! I'm sorry, but I haven't tried Zone 2 yet. It would be good to know if this will work. How easy is it to set up the spotify? Does the interface work pretty seamlessly? Hi Eric, I have not setup the receiver. Plan to do it around the holidays. Will inform in due time. The receiver is a great product for the price range. However I did not set up Spotify. The manual is fairly comprehensive. And the overal set up was fairly straight forward. I did have to experiment with the sound files and the 8 quick settings to figure it out. Hey Eric. It was easy to set up once you grasp the concept that the Aventage is only a listening device. Launch the Spotify app from your normal device (phone, tablet, etc.). Then select the Aventage receiver as the listening device. I play Spotify all the time and find the interface pretty easy. Good luck. I hope your experience is as good as mine has been. 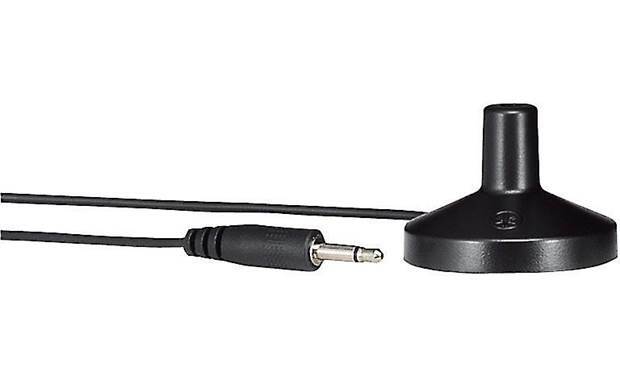 Does the zone 2 speaker RCA jacks support the audio input connection to a Sennheiser RS110 or RS165 base set unit for wireless headphones? does this have cable TV compatibility? Yes via HDMI from the cable box to receiver. 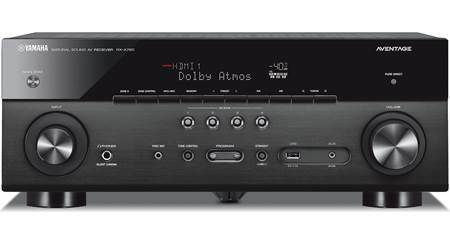 Searches related to the Yamaha AVENTAGE RX-A780 7.2-channel home theater receiver with Wi-Fi®, Bluetooth®, and Amazon Alexa compatibility.